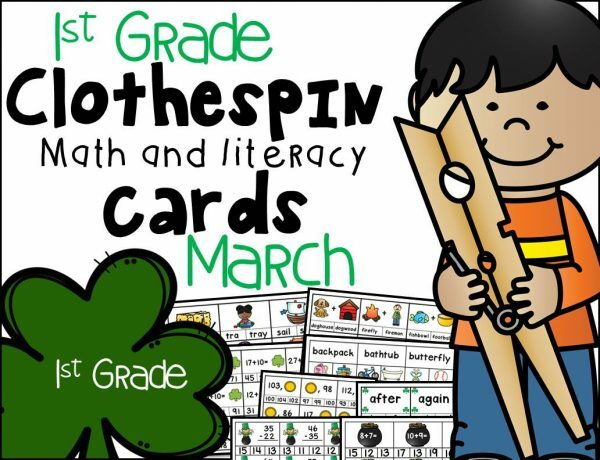 This is the March set of 1st Grade Math and Literacy Clothespin Clip Cards! Clip the compound word that matches the two pictures shown. Clip the picture that matches the compound word shown. Solve each +/-10 problem and clip the total (adding and subtracting 10 from any 2 digit number). 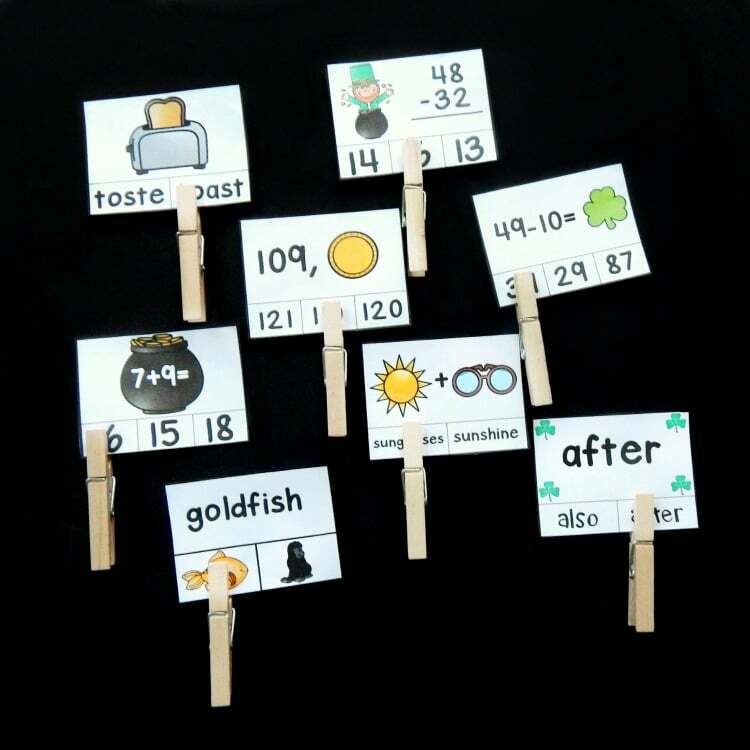 Clip what is one more or one less in the sequence (numbers to 120). Solve each double digit subtraction problem and clip the answer (subtraction with no regrouping). Solve each addition problem and clip the sum (addition problems to 20). Black and White versions begin. 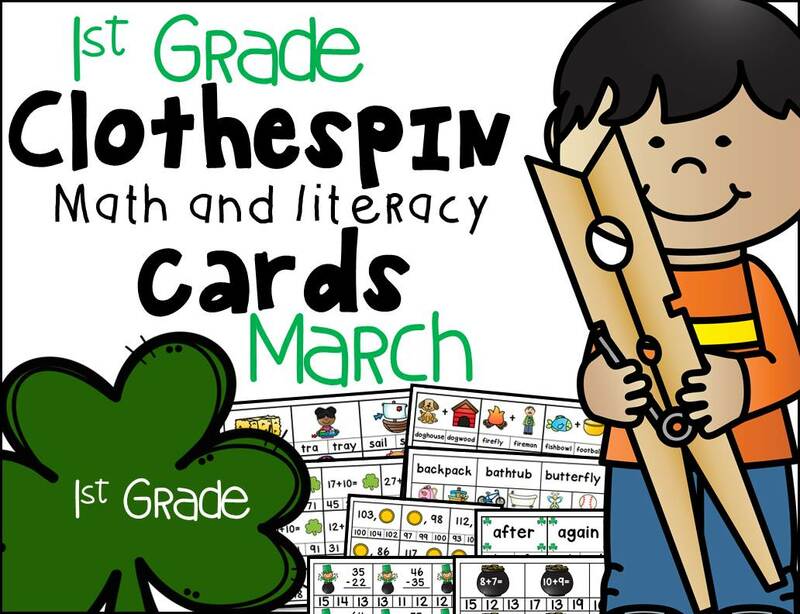 – these are an additional 157 cards, just in black and white for an ink saving option!